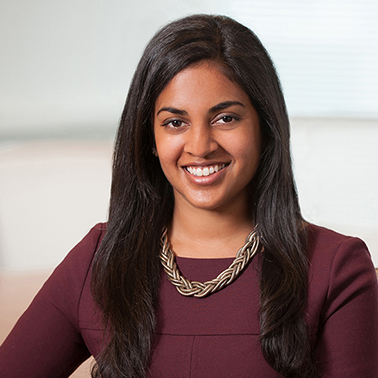 Swathi is a partner in the firm's Washington, D.C. office. 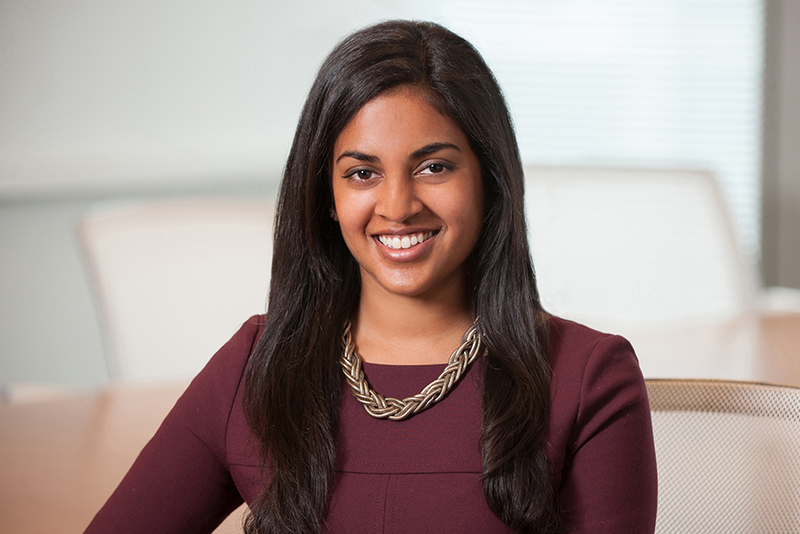 Swathi's career has spanned a wide range of practice areas at Hausfeld, focusing most notably on the Sports & Entertainment, Antitrust, Consumer Protection, and Mass Torts practice areas. From initial case investigations through trial, she has represented the firm’s clients in all aspects of litigation. Her work has encompassed some of the highest-profile class action sports and antitrust cases in recent years, and she has been involved in the recovery of over $500 million in settlement awards on behalf of the firm’s clients. Swathi was initially drawn to Hausfeld’s leadership in cutting edge litigation that advances the public interest and promotes a level playing field. As an avid sports fan, she has relished the opportunity to represent current and former athletes as they seek fair treatment for the dedication they put into the game. In Dryer et al. v. National Football League, she represented a class of retired NFL players whose names, images, and likenesses were being used in NFL Films features. She was involved in negotiating a $50 million settlement agreement, which created a Greater Good Fund to provide health and welfare programs to former NFL players and also established a licensing agency, in partnership with IMG, to help former players market their names, images, and likenesses. She continues to advise the Court-appointed Board of Directors on implementation of the settlement agreement. In In re NCAA Student-Athlete Name and Likeness Licensing Litigation, Swathi represented a class action on behalf of current and former Division I men's basketball and FBS football players against the NCAA and its member institutions based on rules foreclosing athletes from receiving compensation for the use of their names, images, and likenesses. In 2014, plaintiffs completed a three-week bench trial in which Swathi was part of a trial team that successfully obtained class injunctive relief allowing college athletes to receive compensation for their NIL rights, a landmark victory for college athletes. She has also litigated against the United States Olympic Committee and USA Track & Field to open up the market for sponsorship of athletes. For her work on these and other cases, Swathi was named a Rising Star Under 40 in Sports by Law360 in 2016. Outside of the sports realm, Swathi has litigated a variety of other cases across the legal spectrum, securing favorable results for her clients. In In re Municipal Derivatives Litigation, Swathi worked as part of a team that secured nearly $250 million in settlements for a class of municipalities affected by alleged bid-rigging in the market for municipal bonds. And in In re Air Cargo Shipping Services Antitrust Litigation, Swathi joined the trial team to prepare for trial against the final four defendants in a worldwide conspiracy to fix fuel surcharge on air cargo; her work assisted in driving settlements with the final defendants totaling nearly $200 million. In 2016, she was recognized for her work in both cases at the American Antitrust Institute Enforcement Awards, where she won two of the three awards for Outstanding Antitrust Litigation Achievement in Private Law Practice. Swathi has also represented numerous financial institutions across the country who have suffered damages as a result of data breaches at retailers including Target, Home Depot, Kmart, and Wendy’s. Through her work on these cases, she has developed an expertise in data breach law and card brand recovery processes, and has helped to design and implement unique settlement frameworks in this developing area of law. And in 2013, Swathi participated in a mass tort action arising from the placement of unnecessary stents in patients at a Baltimore-area hospital, which culminated in a month-long jury trial in Maryland state court and a global resolution compensating over 240 affected patients. Prior to her arrival at Hausfeld, Swathi spent time at Georgetown Law’s Institute for Public Representation, a civil rights clinic, where she worked on Title VII litigation in the D.C. District Court. She has maintained this interest at Hausfeld, where she represented several female employees alleging sexual harassment against their former supervisor and employer, a San Francisco venture capitalist firm. She has also worked on several presidential campaigns and in the U.S. Senate, both for then-Senator Hillary Rodham Clinton and as a law clerk to the U.S. Senate Judiciary Committee. Swathi attended law school at Georgetown University, where she was Managing Editor for the Georgetown Journal of Law and Public Policy. Prior to Georgetown, she graduated from Brown University with a B.A. in Human Biology and Public Policy. She remains actively involved in the Brown University alumni community, serving as a member of the Women’s Leadership Council as well as the D.C. Area Co-Chair for the school’s admissions interviewing program. Swathi also currently sits on the Board of Directors for the D.C. non-profit Changing Perceptions, which focuses on providing professional and personal support to formerly incarcerated citizens.